When Susan Thomas was young, she went on a mining expedition with her father where she discovered and fell in love with gemstones, especially sapphires. Initially, Susan was just a collector of gemstones, but after learning some jewelry making techniques, she started designing and selling gemstone jewelry. Susan likes to work with the best quality stones and materials she can find when designing her personal jewelry and has a preference for sterling silver, sapphires, American turquoise and labradorite. Gemstones are her passion and when she sees something she loves you can tell!" Susan owned a bead and jewelry store for many years and traveled extensively to purchase gemstones for her stores, including studying and learning about their properties as her businesses grew. One of the most exciting places she has been is Jaipur, India, where the seemingly endless choices of colorful gemstones blanket the market places. Susan is always excited to expand her knowledge and is currently pursuing one of her dreams by working on her Graduate Gemologist certification." 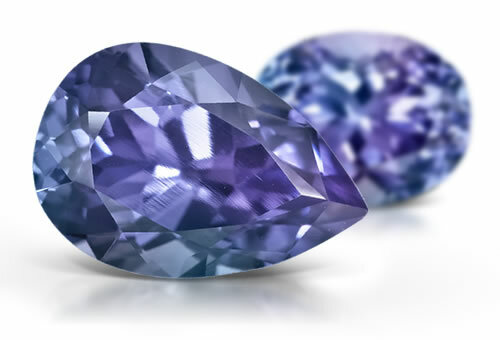 If you've ever seen a Ceylon Sapphire up close you will know why sapphire is my favorite. That cornflower blue color is like a slice of the fall sky. I love that sapphire comes in so many different colors because I always have a hard time making choices. With sapphire I don’t have to choose a color, I can just say “I’ll take them all!" "Don’t be afraid to try something new. Whether it’s a new piece of jewelry or a new jewelry making technique, trying new things is exciting and fun and will energize you!" Susan's first dream was to become a professional musician. She began her college career as a music major. She studied to be a concert pianist and played the piccolo in the University of Tennessee Pride of the Southland Marching Band. Susan also played the guitar and tried her hand at being a singer–songwriter. She spent some time in Nashville and has even played on songwriter nights at the famed Bluebird Cafe.